Happy Tuesday Doodlebug fans! It's Traci, back from Artsy Albums, to share my holiday project with you. I created a little recipe album for my favorite Christmas cookies, cakes, pies, and other yummy sweet treats. 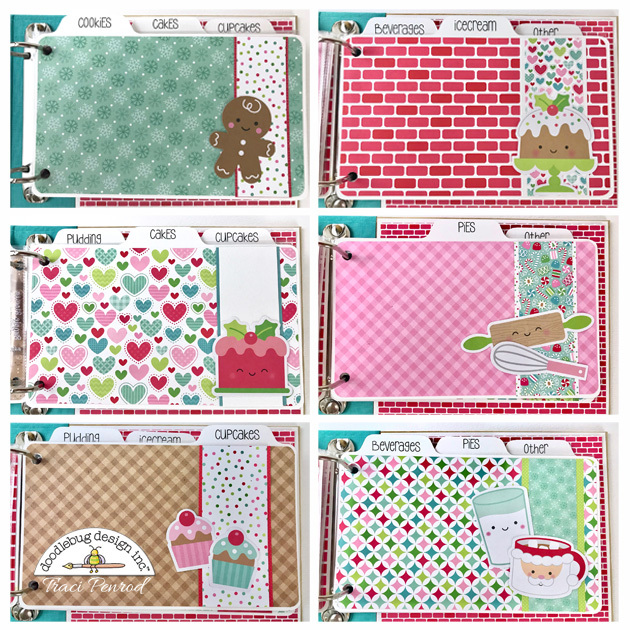 I used a 4x6 binder album by Simple Stories and designed the cover with my favorite paper from the Milk & Cookies collection. I added some stickers from the This & That sheet, some Chunky twine, a button, and some cute sprinkle shapes. I printed the title on my computer ... the font is by Lori Whitlock called LW Cutie Pie. I love the inside cover. 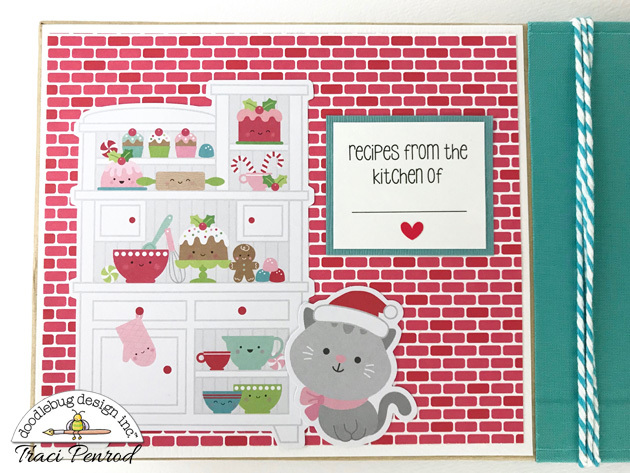 The 6x6 sheet of brick paper reminds me of a kitchen wall, and the little Odds & Ends furniture piece and kitty are so cute!! 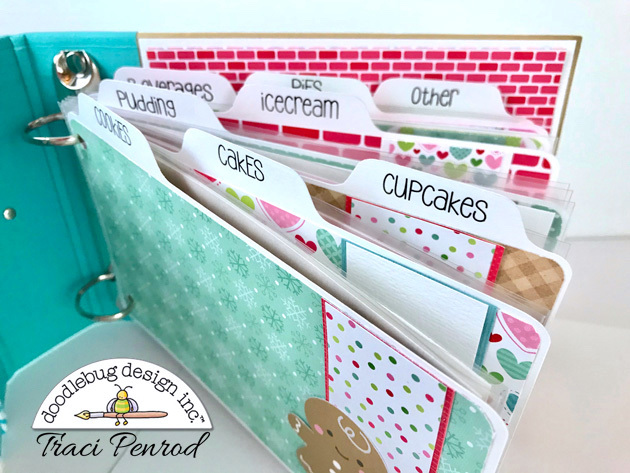 For the inside, I designed some simple tab pages using my Silhouette machine, and covered them with papers from the Milk & Cookies and Petite Print collections. 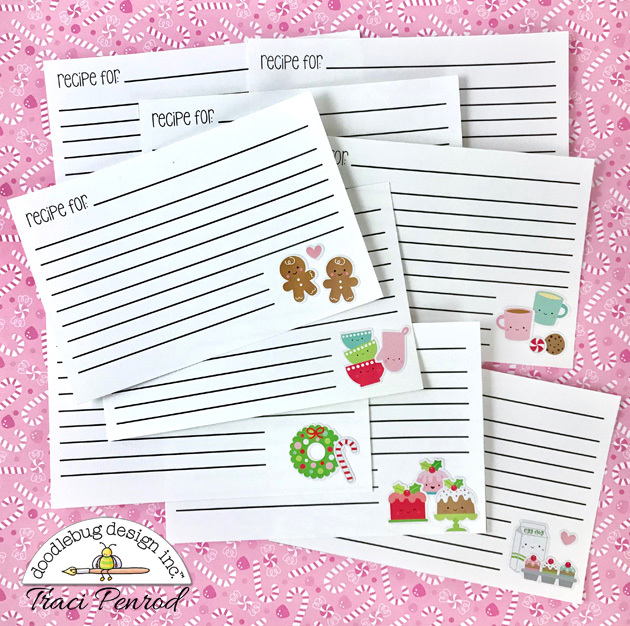 For the recipe cards, I created a design in my word processing program and left a little space in the lower right corner for some mini icon stickers. I love these little stickers ... two sheets come in a package! This might be one of my favorite details of the project. I hope you are enjoying the design team's holiday projects this year! I know I've been inspired to make this a very crafty Christmas. Have fun! I love this so much!!!! 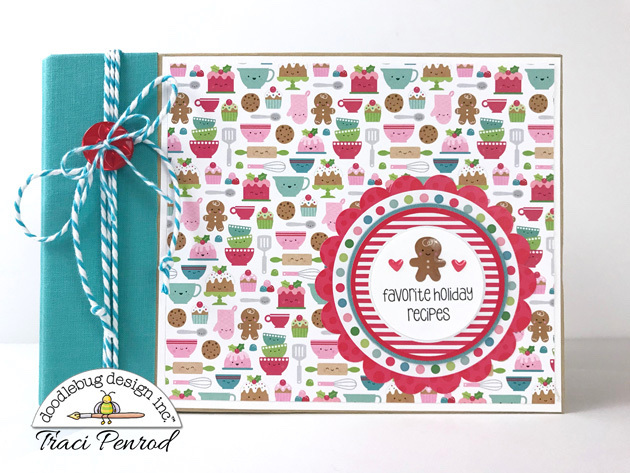 Such a fabulous way to document family recipes! SO CUTE!! !, I would love to do this for my family recipes!